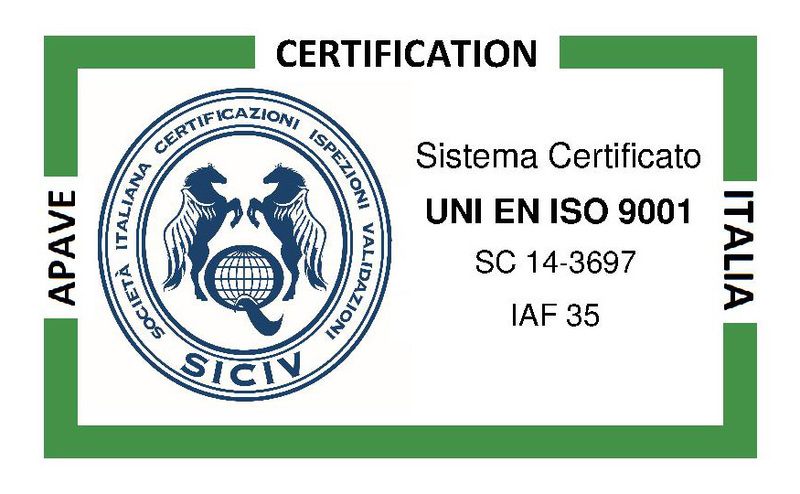 Mock-up’s quality control systems are UNI EN ISO 9001:2015 certified. This represents a major achievement, and a guarantee for our clients of the highest quality standards. Maintaining this certification means constantly monitoring the production processes to ensure that the products are always top quality, but that’s not all: it is a continual challenge to continue to improve. FOGRA represents an independent voice in the recognized international standards sector. Working on behalf of ISO, it has developed and introduced the global ISO 12647-7 standard for print proofing with digital devices. The assessment consists of measuring the performance and positioning of the company in terms of innovation by means of the internationally recognized IMP³rove® online tool based on the CEN TS 16555-1 technical standard, which provides guidance on establishing and maintaining an innovation management system (IMS), and on developing an action plan designed to bring positive aspects to the fore and overcome any critical issues highlighted. The assessment is carried out together with an IMP³rove®-qualified expert, who is also a member of the Enterprise Europe Network tasked by the European Commission with supporting businesses in improving their innovation management. The Prize is awarded to companies in Piedmont which have distinguished themselves for their ability to express and merge innovation and tradition, as well as for the quality of their product and their contribution to raising the profile of the region in Italy and abroad.